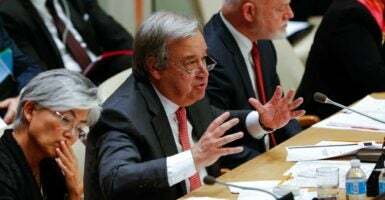 Guterres replaces U.N. Secretary-General Ban Ki-moon, who served two five-year terms and is stepping down from the position on Dec. 31. Obama said in his statement that the new secretary-general would be instrumental in dealing with “unprecedented challenges” facing the world, including the surge of millions of displaced people and climate change. “The international community has never relied more on the United Nations than it does today,” @Potus says.